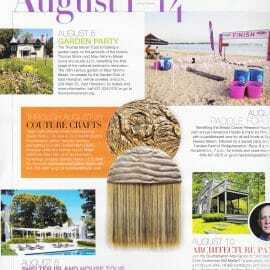 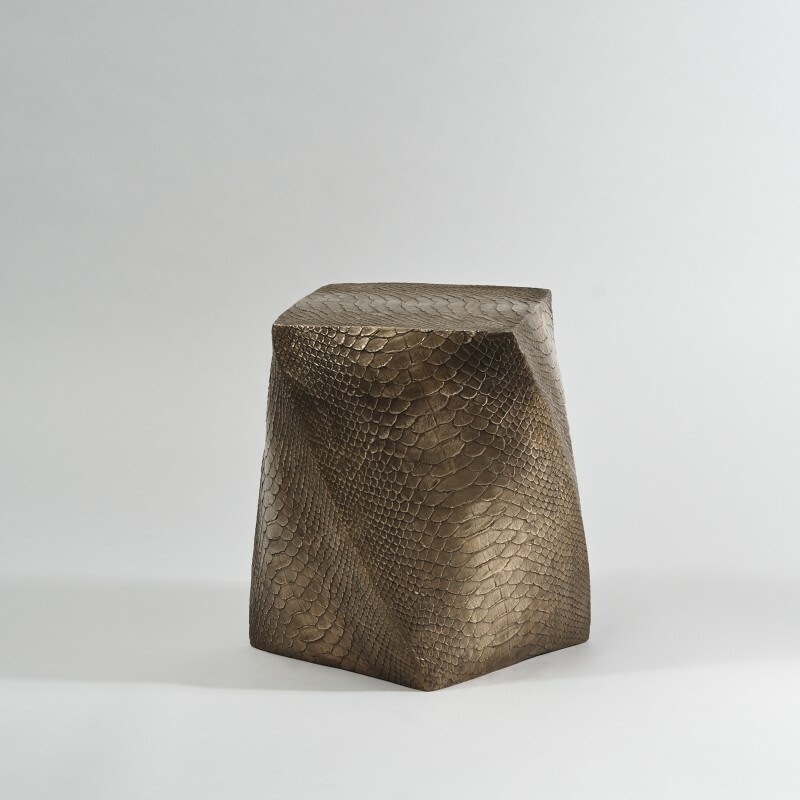 Cast in one bronze piece, the elegant Serpent Stool is at once a functional object and a free-standing sculpture. 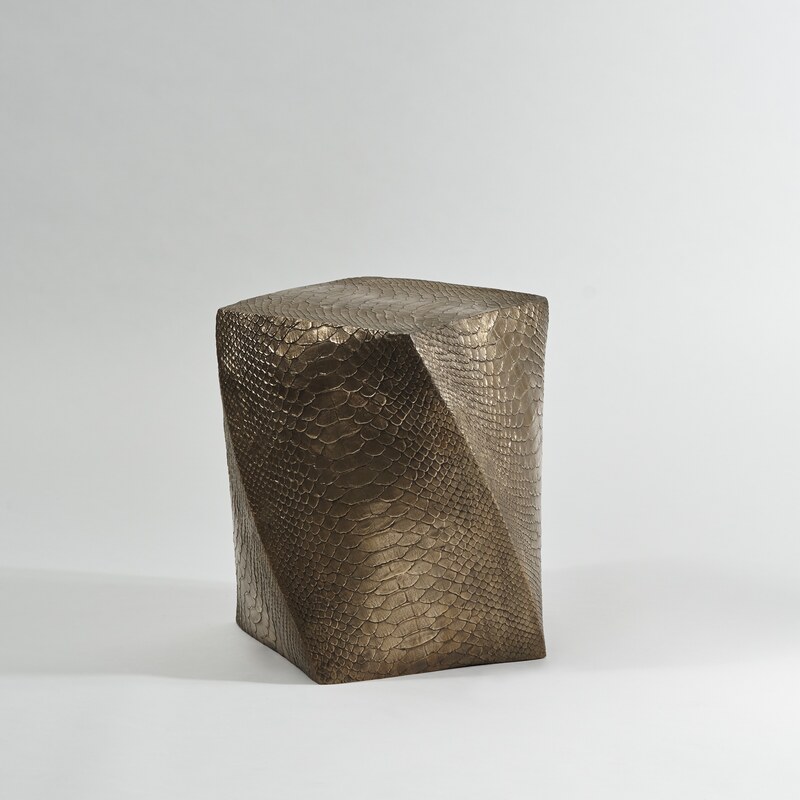 Frozen in an upward swirl, Serpent Stool is a visual expression of movement. 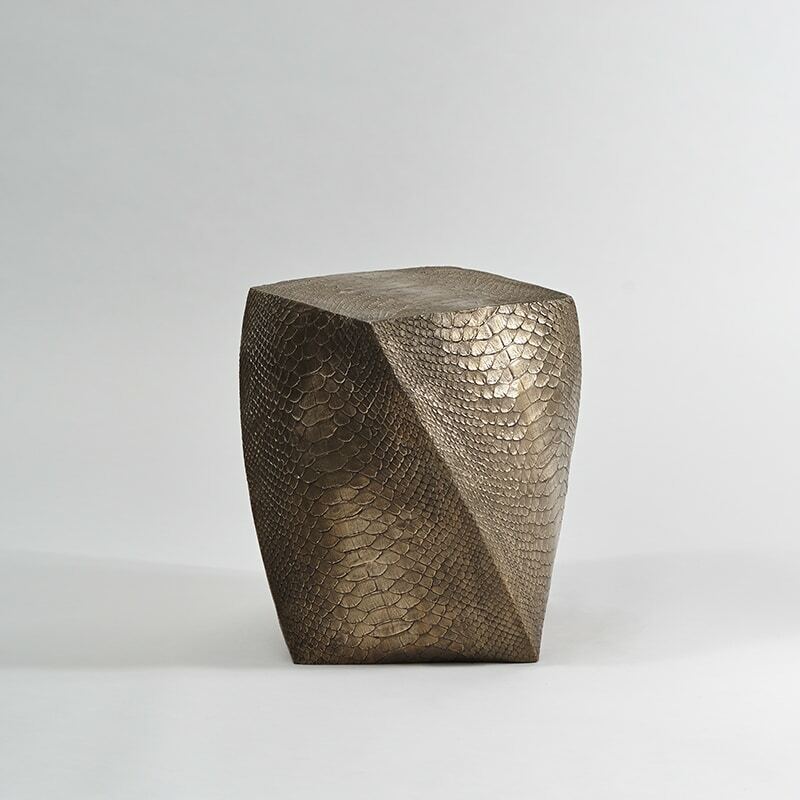 The work expresses ideas of time and memory, constant themes in Sullivan’s repertoire. 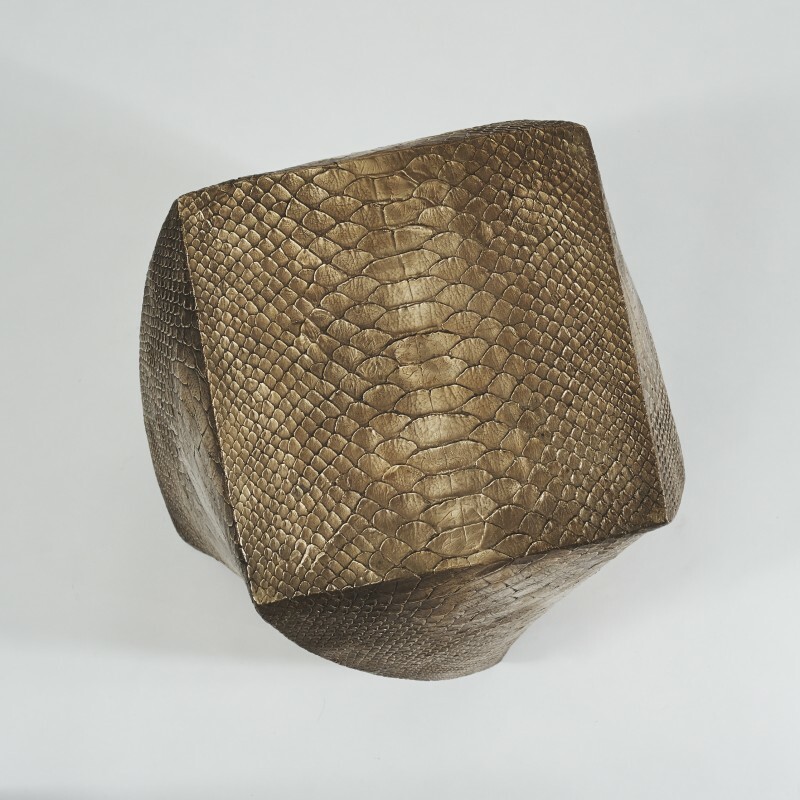 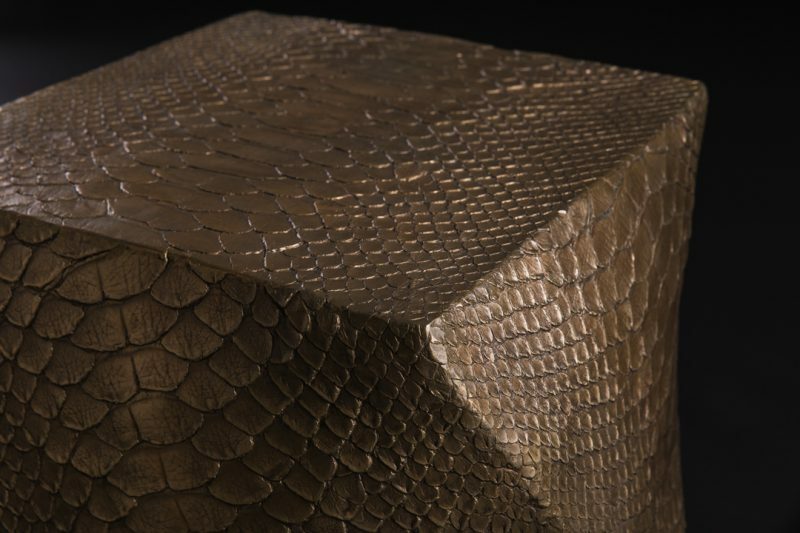 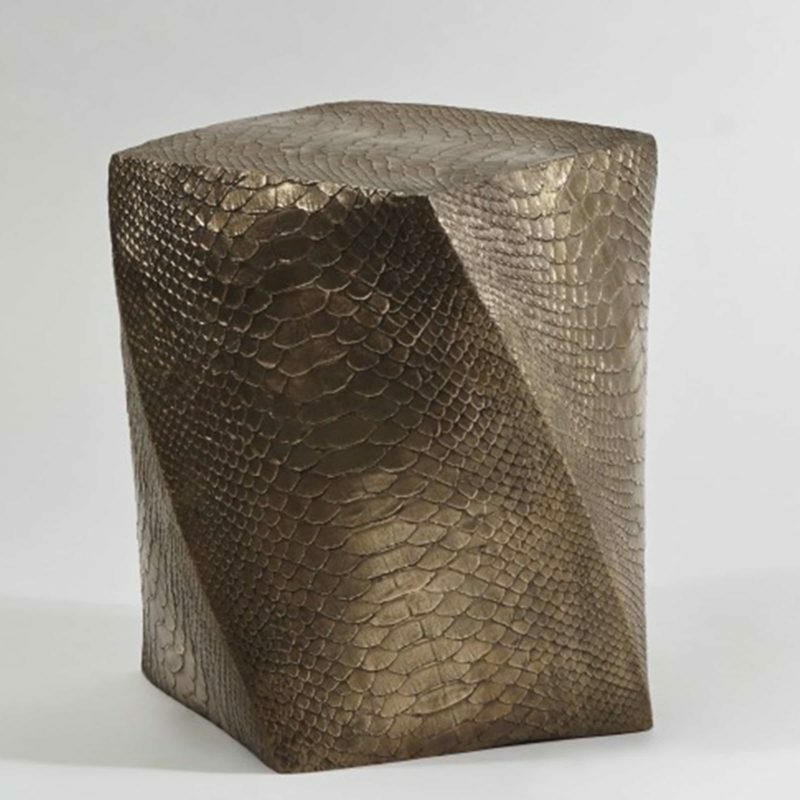 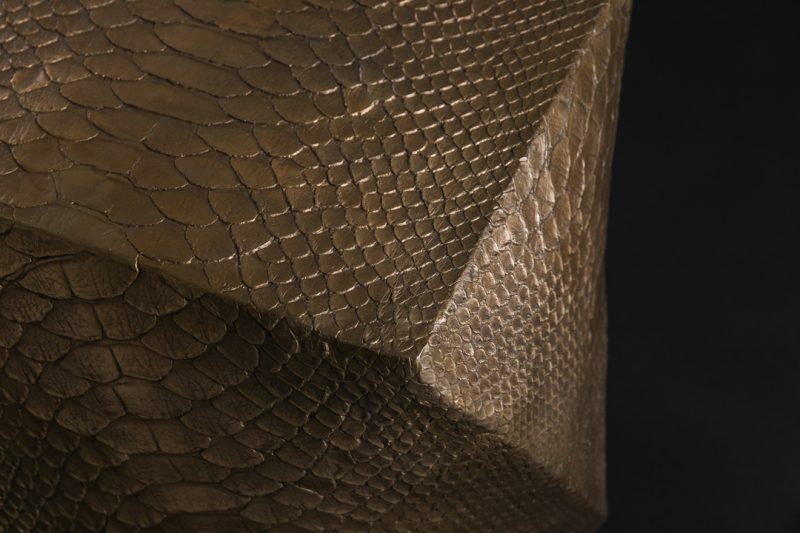 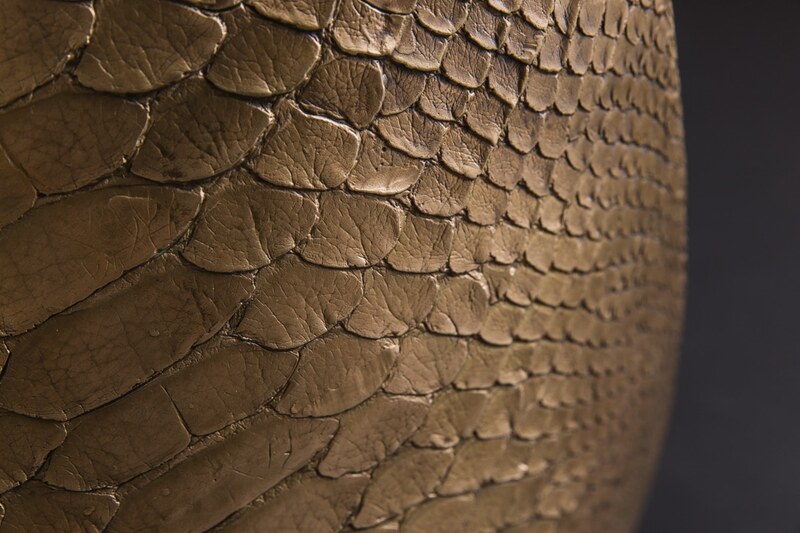 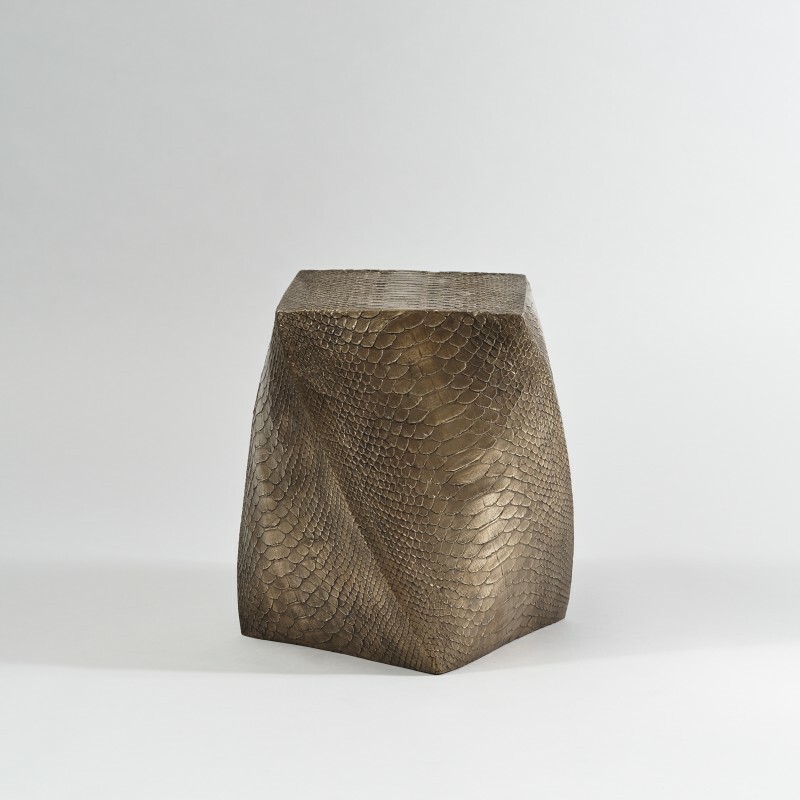 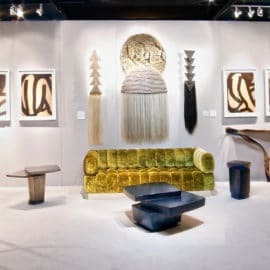 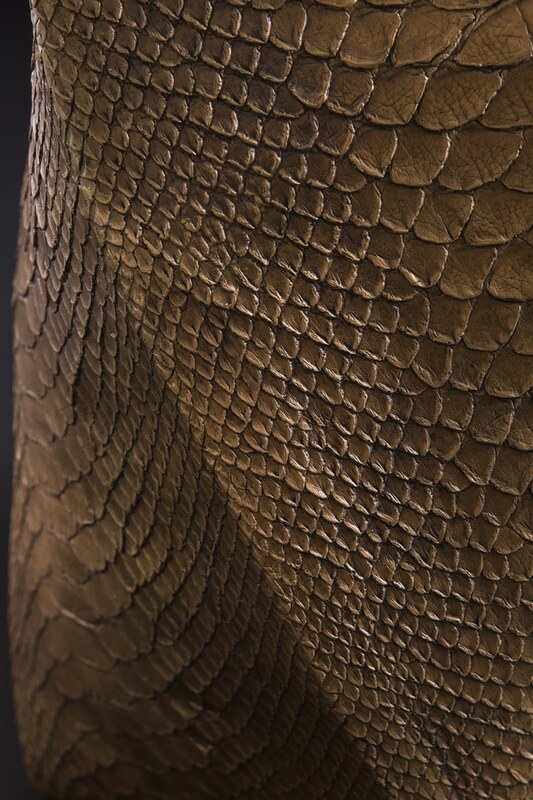 In Serpent Stool, Sullivan immortalizes the ephemeral skin of a serpent in bronze, a durable material capable of surviving many several millennia. 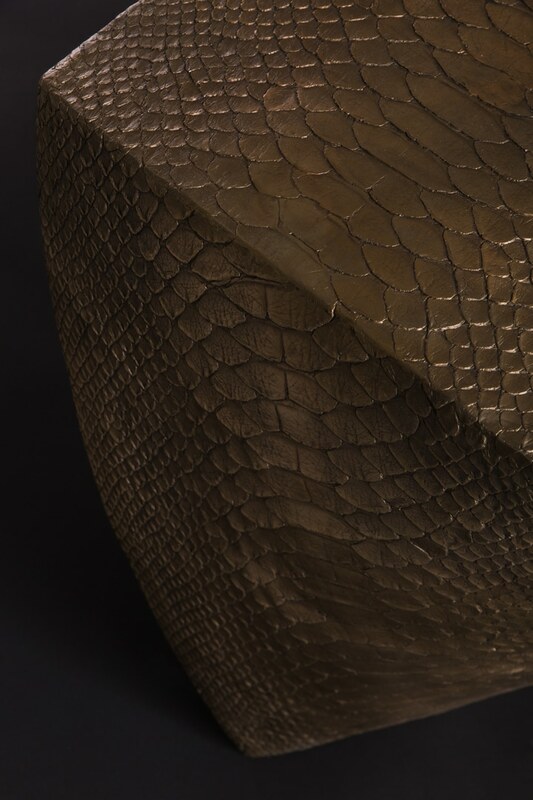 The artist crafts an aesthetic equilibrium between life and death, nature and artifact, and art and design.